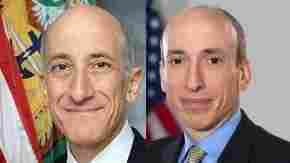 November 12, 2013  Timothy Massad has overseen the Troubled Asset Relief Program that bailed out banks and automakers. Now he's expected to be nominated to head the Commodity Futures Trading Commission — perhaps an even tougher job. November 26, 2012  The move came Monday just hours after the Commodity Futures Trading Commission accused the Ireland-based company of violating the agency's ban on off-exchange options trading. The prediction website takes bets on everything from economic results to the prospects of war to which movie will win the Academy Award for Best Picture.